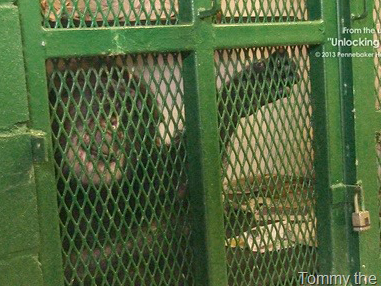 ALBANY, N.Y. -- A New York appeals court says a chimpanzee isn't entitled to the rights of a human and doesn't have to be freed by its owner. The three-judge Appellate Division panel was unanimous Thursday in denying "legal personhood" to Tommy, who lives alone in a cage in upstate Fulton County. But the court says there's no precedent for treating animals as people and chimps don't have the legal duties or societal responsibilities that give rights to humans. Tommy's owner, Patrick Lavery, says he's pleased and expected the ruling. There was no initial response to an email sent to Wise. Reuters reported that Wise first visited Tommy in October 2013. "He looked terrible," Wise said. "He looked like a caged chimpanzee - they don't move, they don't look at you. They look depressed."